S Group – TAM Media Research Pvt. Ltd.
Set up in 2002, S-Group is the strategic analytical arm of TAM Media Research. It is an efficient and neutral Advertising Planning and Broadcast Management with expertise in Audience Analytics which largely helps Marketers & Broadcasters. 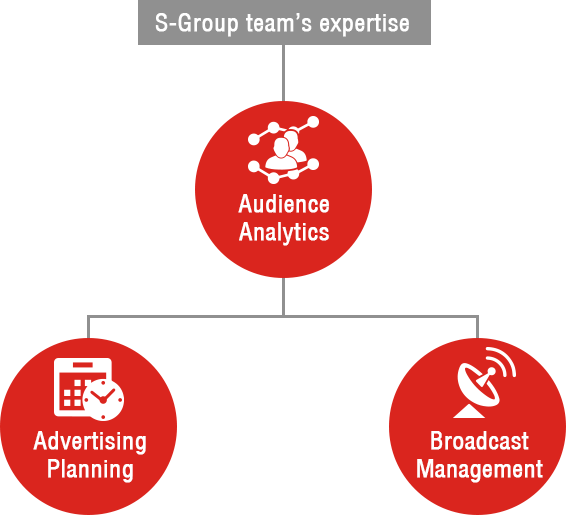 S-Group leverages on vast historical data sets that include Viewership, Distribution, Advertising trends, On-Air promos on TV, Print, Radio, Content data and Public Relations data to arrive at in-depth analysis and pin-pointed takeaways.